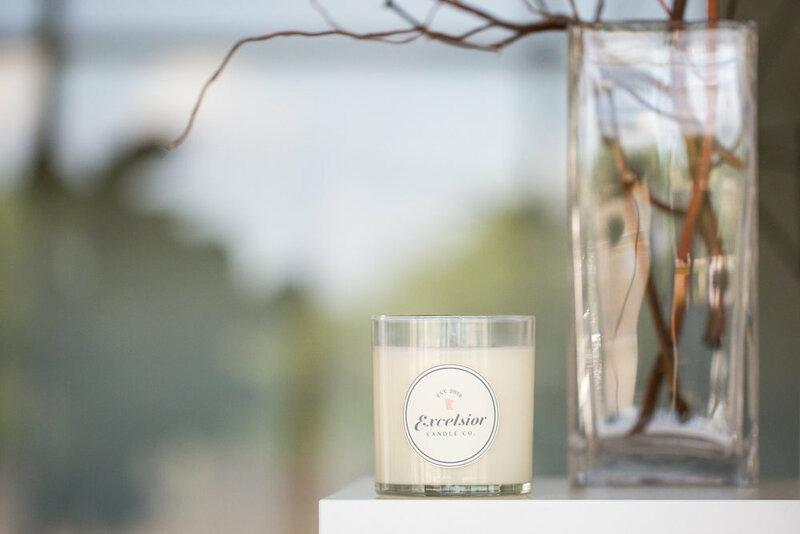 About — Excelsior Candle Co.
Excelsior Candle Co. was born of the belief that the right fragrance can make everyday moments feel extraordinary. All of our candles are batch made in Minnesota using the highest quality ingredients; you’ll fall in love at first light. 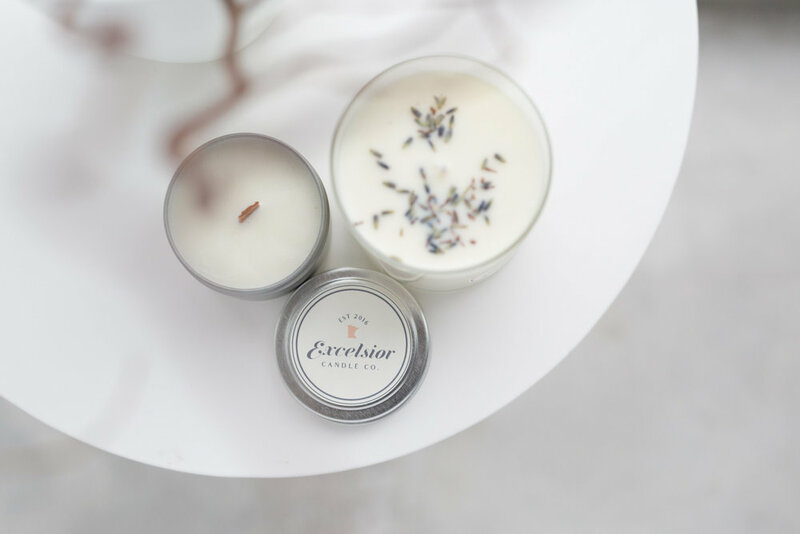 I've been creating unique gifts and crafts for 10 years, starting with jewelry and culminating with the Excelsior Candle Co. two year’s ago. Initially I wanted to make special gifts for family and friends and, maybe sell a few to continue funding my hobby. Until recently, I was melting wax in pots on my stove with bottles of scents scattered everywhere. All the burners occupied with small pitchers of soy-based wax slowly melting while I prepped any and all variety of containers. A lot of trial and error, a lot of spilled wax and scents (occasionally and accidentally flavoring whatever food item might have been close) finally led me to getting a 65lb wax melter and setting up a studio. Everything, from applying the labels to packing and shipping, is done right in St.Paul, MN and by hand. There are no short-cuts and there is no automation. It's an old-world process that calls for patience and commitment. The candles are environmentally friendly, as is the process and I love doing it. The latest products, fragrances & news – straight to your inbox.